I read L.A. Candy a few years ago, when I had an idea of who Lauren Conrad was. I remember enjoying it, but for some reason or other never got around to reading the two sequels that followed. Then I was sent an arc of The Fame Game, the spin off series. It sat on my shelf for the last month though, until another copy arrived in the mail. I’d been in a bit of a reading slump, so I thought why not try this book. Now first of all, let me just say that as much as I love reading, I don’t actually read at home all that often anymore. I mostly read on my breaks and lunch at work now. But I enjoyed this book so much that I stayed up late a few nights ago to finish it. There’s so much drama and I have to admit I am a drama whore. I can’t get enough of it. My favorite characters were Kate & Carmen. Kate is this “nobody” from the midwest who moves to L.A. to try and make it as a musician. Carmen was born from Hollywood royalty but is still human. Gaby wasn’t given much development since she’s just supposed to be the stupid/ditzy sidekick. I actually hope to see more development for her in the next book. Madison is that character you love to hate and hate to love. But there is a huge twist for her that will you shocked. Overall, I’m definitely looking forward to the next in this new series by Lauren Conrad. 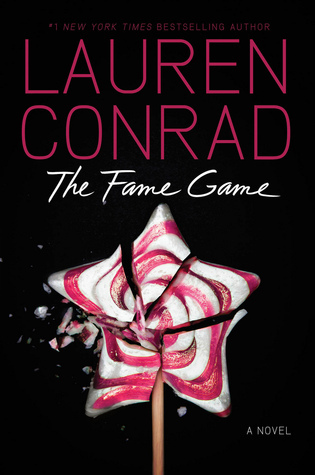 I can’t wait to see what happens to The Fame Game after the shocking ending. I have been wanting to read this book for a while now! I need to pick it up!